Just imagine hundreds of people leaving their homes. Liverpool, England becomes the starting place for those routed to the Americas to join other members of The Church of Jesus Christ of Latter-day Saints. Their trek took them by boat, bus, train and finally by handcart to the Great Salt Lake Valley. This book recounts the trials and triumphs of their journey based on journals and other historical documents and then gently weaves Robert's storytelling genius into short snippets of how these people might have felt during some of their adventures. This history also provides complete records of the names of every soul who made the journey along with which handcart companies they followed. 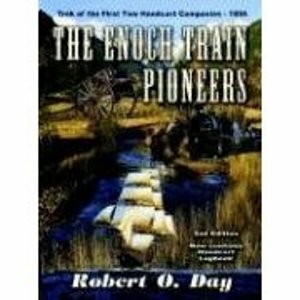 A must for genealogists or those interested in early Mormon history. Midwest Book Review says, "Highly recommended for school and community library collections, the text reads smoothly from first page to last as the story of this memorable bit of American history unfolds. Exhaustive appendices round out this fascinating narrative and historical references."